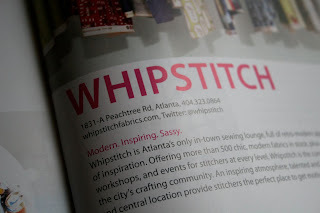 Whipstitch: One of the 100 Atlanta Businesses to Know! 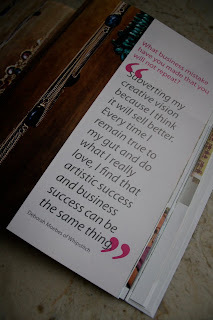 CRAVE is an organization that has been working across the country to promote women’s businesses by connecting women to one another and creating a community of entrepreneurs who share a similar aesthetic and goal. As part of that, they publish books specific to cities across the country that highlight 100 businesses and offer a glimpse into who is behind each one. 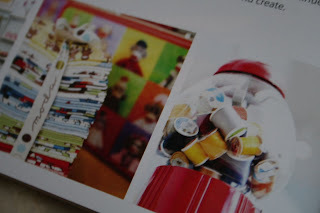 I’m super proud to have been included in the Atlanta edition of this book, just out yesterday. My sweet husband came with me as we toured host shop ecoEmporium and ate yummy goodies from some of the featured vendors. 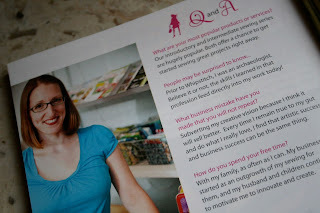 I’m so pleased with how our spread turned out, and glad to know there are dozens and dozens of other women out there–some of whom I’d never heard of until flipping through the pages of the book–who are balancing their families and their passions, and are really taking leaps of faith in starting their own businesses. Even cooler, the book gives us the opportunity to share our ideas and inspirations and lessons learned with one another, and I’ve had such a good time reading what these other ladies have to say. 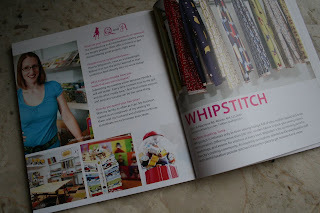 If you’d like a copy, they’re available on the Whipstitch site–great if you’re an Atlanta local, and since all the featured folks are also online, a great resource if you love indie businesses and design! Great job, Deborah!! You look very pretty in the picture, too! congratulations! best wishes to all your endeavors in 2010!